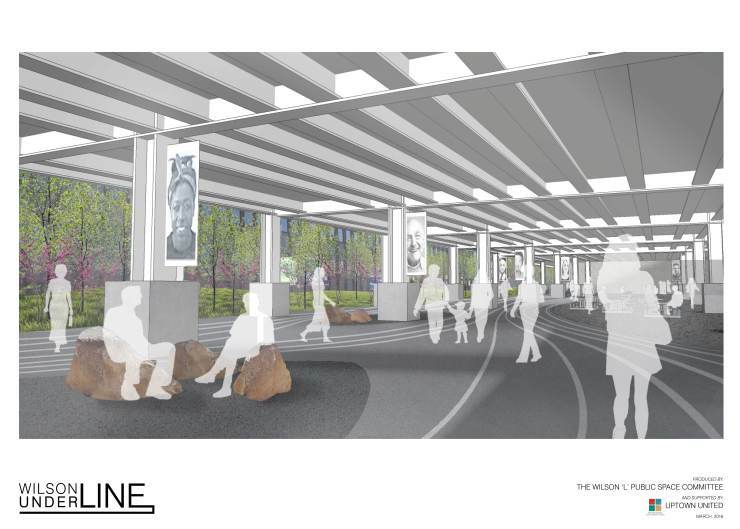 Imagine the WILSON UNDERLINE, a space that reclaims a forgotten landscape below the Wilson 'L' tracks, transforming a dark and dingy corridor into a vibrant, safe, lively and welcoming public amenity. The groups have been working closely over the past year to incorporate recommendations made by the Metropolitan Planning Council and UIC’s TOD Design Studio (commissioned by the CTA) to create a vibrant, safe, lively, pedestrian friendly and transit-oriented public space that will enhance the final Wilson L renovation project. This is in contrast to the current plans calling for a fenced-in parking lot. Over the last year the groups have worked to incorporate feedback from the community stakeholders and property owners adjacent to the site. The final design proposal incorporates a broad range of helpful feedback from these entities. This sounds nice, as long as we can keep the current caste of street loafers in that area from taking it over. It will only take a couple to ruin the whole thing. No sane person would go there. It happened at Roosevelt, by the Starbucks. There used to be outdoor seating there but the bums took it over and now it's gone. Agreed, this will require 24/7 foot patrols by the CPD. Let's put a police station in the old station house and keep the rabble moving. Folks should go to that area now and spend 30 minutes under the tracks at rush hour before anyone agrees to turning this area into open space, art shows, food trucks, or any social space. The noise and distraction makes the area all but unusable. You bring up a very good point. The trains make so much racket going through. I wonder if the new tracks would be quieter? The new tracks above will be much quieter and solid (unlike now where debris rains down when trains pass overhead). Checking out the tracks around Belmont will give you the best idea of what to expect. I've also noticed that when you are on the L near Belmont, the train gets much quieter as it moves over the newer section of tracks. If you think an open public space in that neighborhood would become anything but a urine and vomit soaked lounge for Uptown's most notorious vagabonds and a magnet for muggings and other crime then you are a fool. Make it a parking lot. Truman College is right there and needs it. Creating an "open and public" space there isn't just going to magically attract people to stroll around there for no reason as the illustration suggests. Who is going to go to some public space (under the El tracks, no less) just because its there?! This isn't some antiseptic looking colony world on one of the various Star Trek series...it's Uptown. 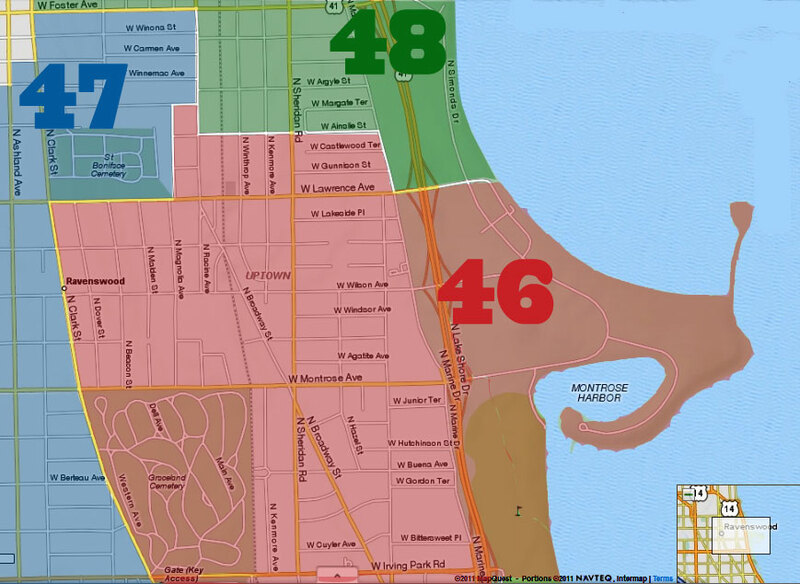 It's CTA property, so CTA and CPD's Transit Detail will be responsible for policing it. CTA hasn't been concerned about the old Wilson station, but I don't see them letting a huge investment in time and money (and their flagship construction project) go to hell in a handbasket. I think you'll see a huge change by CTA, to make sure they keep the new Wilson Station as safe and sparkly as possible for the foreseeable future. I also think that with the explosion of new TOD construction and projects like the conversion of the old Stewart School, we're going to see an influx of new residents that aren't going to tolerate the BS that some frequent posters to UU have attempted to keep telling us since before the collapse of the People's Republic of the 46th Ward that we just have to "live with it". Having more people owning condos and paying market-rate rents than people living in tax-subsidized housing changes the game AND the rules. 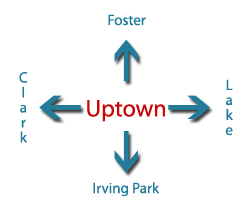 I don't expect Uptown to retain its reputation as the Englewood of the North Side for many years longer, and it's time we start planning for what we ALL want to see the neighborhood to be in the coming years, instead of wringing our hands continually over what we see in the rear-view mirror. Wow there are a lot of negative people in these comments. This is a brilliant idea, WAY better of an idea than a parking lot, that's for damn sure. Vagrants or not, this is the better option for sure. Welcome, Robb1324! First time in a comments section? Negativity is sort of the norm. Haha thank you. This is one of the first times, yeah. I usually end up ignoring the comments on UU because of the negativity. That and the inside jokes that I still don't understand after years of reading this site and living in Uptown. This video appears to have been taken yesterday at that new...nasty...convenience store across from Truman.